VME Tech, Concurrent Technologies’ distributor in South Korea, successfully exhibited our range of embedded computer products at this recent workshop. VME Tech are a long standing distributor with lots of experience selling our products into the South Korean market. 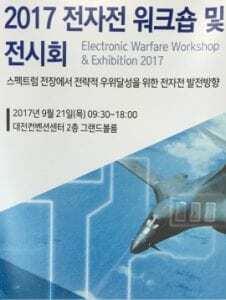 They are promoting our range of 3U VPX products for electronic warfare and other defense applications and reported that they saw a number of new opportunities during the event.